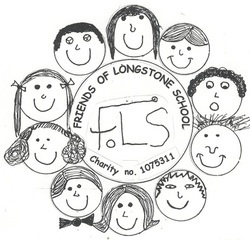 FOLS is the Friends Association here at Longstone School. This might include parents, teachers, grandparents and members of the community. We raise funds by organising regular events, both in and out of school. The monies raised from these events are used to fund activities, equipment and special experiences, to support and enhance the learning of your children. Please come along to our next meeting or one of our upcoming events listed below. We'd love to see you there! 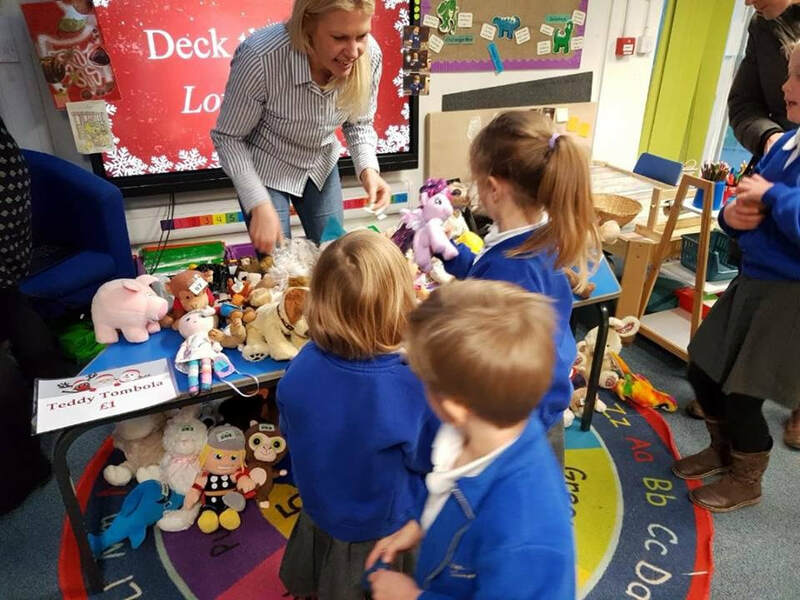 Children love getting together out of school hours, so we plan a range of events during the year including a Summer Sizzle, Easter egg hunts and Activities, Quiz Nights, Winter Disco and Christmas Bazaar to name but a few. ​The school is always under pressure to provide an ever widening range of extra curricular activities and there is a constant need to enrich the resources available to all children. Over time, FOLS has raised funds towards new IT equipment, a new kitchen, the school hall, a greenhouse and many more class-based resources such as books, maths games, wet play activities and sports equipment. In 2017 we have been hard at work raising funds for new outdoor play equipment for the children to enjoy, develop skills and learn from. We also support the school in contributing towards theatre, poetry and design workshops as well as trips to visit galleries or museums. 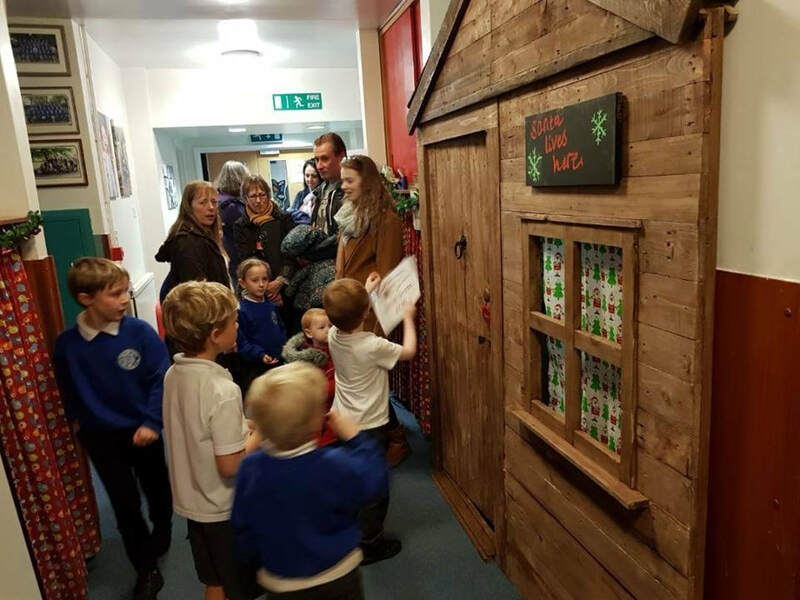 As a Voluntary Aided Church School, the school community has to fund 10% of large building projects - in 2015 we finished raising £34,000 towards the redevelopment of the school building. Something we are very proud of and grateful to everyone who has supported this. Thank you to everyone that attended and bought raffle tickets for our rearranged Quiz & Supper Evening on 12th February. It was a really fun evening and we raised a fantastic £637 on the night! Special thanks to our wonderful quiz master Paul and the team at The Royal Oak for hosting and to Holdsworths for generously donating our delicious supper. Congratulations to the well deserving winning team 'Gossip Queens'! ​The school hall was the place to be on Friday 8th February, as it was transformed (with the help of lots of flashing lights!) into our popular Winter Disco. The children had a fabulous time showing off their impressive dance moves, as they danced along to their favourite songs with their friends. It was wonderful to see them all having so much fun! Thank you to everyone that supported this event and for helping FOLS to raise over £500 on the night! Thank you so much to everyone for all their support and help at the FOLS Christmas Bazaar this year. As a result of your donations and support on the night, we made a fantastic £1,433. We hope you all enjoyed it! Thank you so much to everyone for organising, selling, buying and helping out at the table top sale. There was a fantastic turn out on the day and your help was very much appreciated, as always! We hope it was a success for everyone and you managed to find a few bargains. ​Thank you for joining us at this year's Summer Sizzle and supporting our last big fundraising event of the year. It was wonderful to see so many of you enjoying the bouncy castle, photo booth, BBQ and bar. Thank you also to everyone who bought raffle tickets and helped on the night. We couldn't have done it without you! ​Thank you to all of the children that took part in this year's sponsored Bike Ride. You helped FOLS raise a fantastic £439.50! ​This Easter there was another 'Eggcellent' array of decorated eggs in school. Thank you to all the children that entered the competition. The standard was so high, once again. We will post photos of all of the entries on our FOLS Egg Decorating Comp page soon. In the meantime please find a few pictures below. The children (and adults!) enjoyed devouring some very tasty pancakes, with a wide variety of yummy toppings, in celebration of Shrove Tuesday. Thank you to Sue Carter and Hattie for all their hard work preparing and serving the pancakes. We sold 103 in total! We hope you and your children all enjoyed the Winter Disco on Friday 9th February. The infants had lots of fun joining in with the party games and dances and the juniors loved that they had picked their own playlist. It was great to see them dancing and singing along to their favourite songs and performing their routines. Thank you to all the volunteers who helped on the night and for supporting this event. Thank you to everyone that came along to the Christmas Bazaar. As always, this was a very popular event that was enjoyed by both the children and parents. 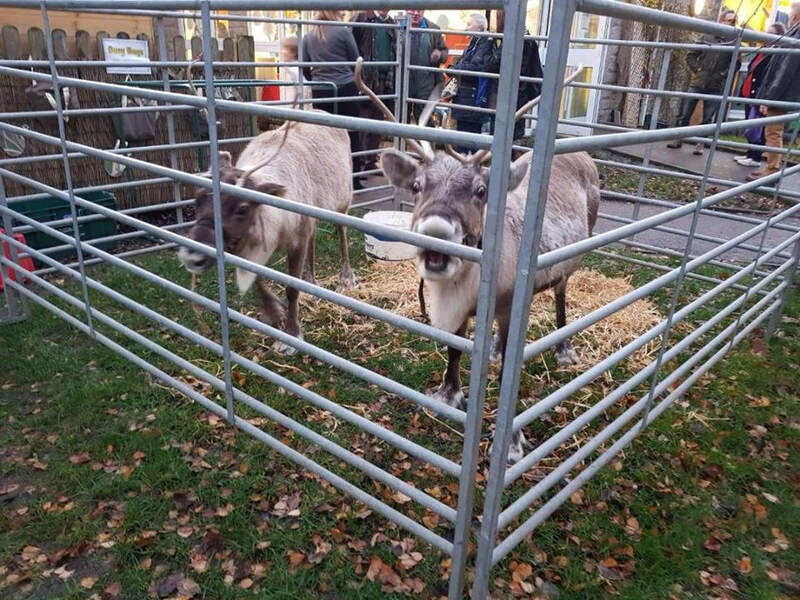 The visit from Santa and his reindeer made it extra special and we raised an amazing £1,586.86! We had lots of fun afterschool with all the infants and their families. It was great to meet all of the new families in school too. Thank you to all of our smiley volunteers who gave us an hour of their time and helped us to raise £195.80! Thank you to all of the children and families who took part in the Morrisons Bag Pack on Saturday 16th September. The total amount raised was £457.62! Thank you to Morrisons, Buxton for allowing us the opportunity to fund raise in store and thanks also to Stewarts of Bakewell, for providing the balloons to attract even more attention to ourselves! FOLS took part in the village fete along with school and many other stall holders from the local community. It was a great afternoon with lots of delicious treats and games to enjoy. It also helped us to raise £241! Please see below for some pictures of the day. On Friday 7th July we held our Summer Sizzle which was a huge success. We hope that everyone enjoyed the food, music, bouncy castle and photo booth. Thanks to everyone who helped to organise and staff the event and of course to all those who came, supported us and enjoyed themselves. ​You helped to raise a whopping £1,192 that night! It is always an exciting time to be involved in FOLS and everyone is welcome to come along to our meetings and get involved as much or as little as they can. Why not have a look at the document below to get an idea about what being a committee member or class representative involves. One thing that it most definitely is, is rewarding. Would you like to create a lasting memory of your child's time at Longstone CofE School﻿? Why not purchase a leaf to add to our Leaf for Life tree! ​Please click below to view, download and print a Leaf 4 Life form and hand the completed form to one of the FOLS team. Please don't forget FOLS when doing your online shopping! Did you know that whenever you buy anything online - you could be raising a free donation for FOLS? There are nearly 3,000 retailers including Amazon, John Lewis, Aviva, thetrainline and Sainsbury's, who will donate a percentage of the amount you spend to FOLS to say thank you for shopping with them. 3. Get shopping - your donations will be collected by easyfundraising and automatically sent to Friends of Longstone School. It couldn't be easier! There are no catches or hidden charges and FOLS would be really grateful for your donations! On Friday 7th March our KS1 children enjoyed an egg hunt in their class gardens. KS2 children took part in an egg decorating competition. Please see the eggcellent egg entries and the eggciting egg hunt pictures below!! Everyone had a lot of fun and went home for the holidays with smiles and a chocolate egg provided by FOLS. Happy Easter everyone! Thank you to all who came along, made curry and helped to staff this event. It was a great night and it was lovely to see some new faces! The children have been exploring Space as their topic in the early part of 2017. ​FOLS provided funding for a planetarium for a day to help the children visualise all they had been learning about. All the children had a great time and thoroughly enjoyed the experience. Please see below for some pictures of the day. 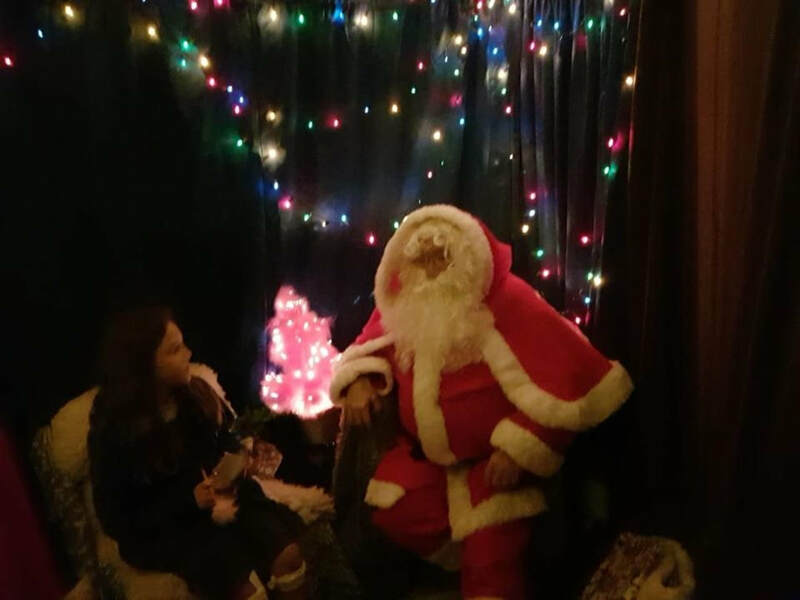 On Friday 2nd December FOLS held their Christmas Bazaar and it was a cracker! 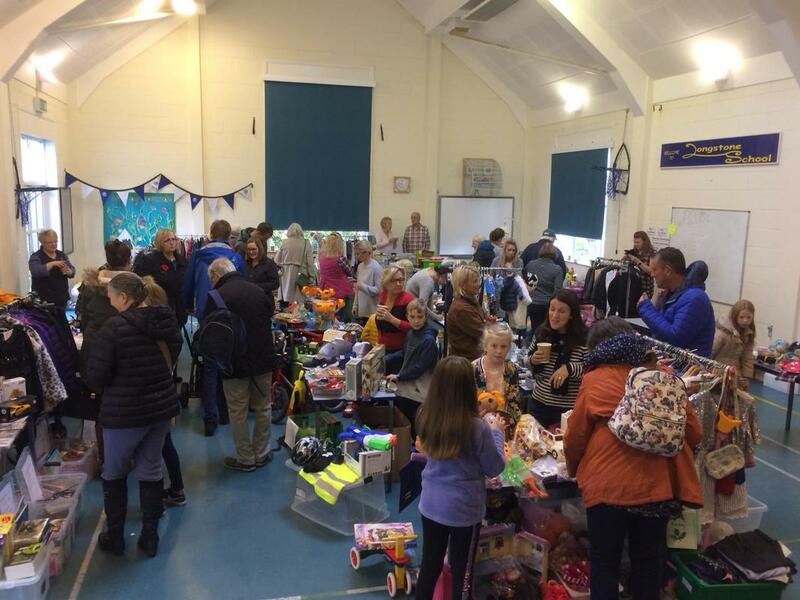 Thank you to all of the parents and helpers who donated items, time and came along and supported us. You helped us to raise a fantastic amount of money which will be used to enrich the children's learning experience (grand total soon to be confirmed!). We hope that you all had lots of festive fun! ​Please see some pics from the day below. ​There's still time to buy raffle tickets for our fantastic Christmas hamper draw. Tickets will be available at the 2pm and 6pm performances of the Infants Nativity on Wednesday 14th December. The draw will take place on Friday 16th December at family assembly. Good luck! Below I have put the recipe for the onion dish served with the poppadoms as it was much requested! Click to see some more of the fantastic egg decorating entries. Please join us at our next FOLS meeting on Monday 13th May at 7pm in The White Lion, Great Longstone. All welcome! Why not take a look at our Facebook page using the link below?